Cwm Harry is a well-known community enterprise in Newtown, Powys who have been at the forefront of food waste recycling, waste minimisation and composting in the area over the last decade. Cwm Harry has also has a strong interest in local food and food growing and this year has helped launch a new project: Get-Growing with the aim of involving a much wider section of the community in food growing, wildlife gardening and greening public spaces. Cwm Harry has recently launched a series of inter-related enterprises to manage their growing and community gardening interests under the name of Cultivate. This includes a plant nursery, garden design, community gardening and a veg box scheme and local food hub. 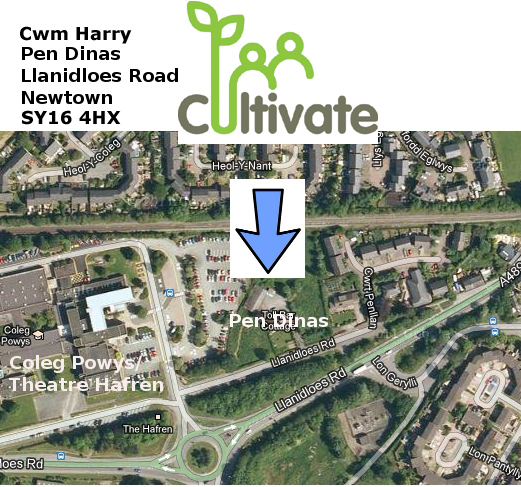 All based at our Pen Dinas site. The Get-Growing project is based on the Coleg Powys Newtown campus where we are developing a 21/2 acre community market garden, with wildlife and play areas. We are working closely with a range of volunteers, apprentice gardeners, students, local schools, community groups and other enterprises. Get-Growing is a 3 year project with the specific aim of involving a much greater proportion of the local community in the local food economy. As a rural county Powys only produces 2% of the food consumed within its borders and with climbing energy prices and the need to drastically cut carbon emissions this is a huge area of opportunity for innovation. What will a much more localised food economy look like? Well no one knows for sure but it seems vital to be exploring the territory and better understanding the issues raised. We have attracted revenue funding, from the National Lottery which will pay the project team’s wages for the first three years (until March 2015) and in that time we have specific aims to develop three Get-Growing community gardens to act as hubs for further development as well as working with 15 schools and reaching a broad cross section of the public. 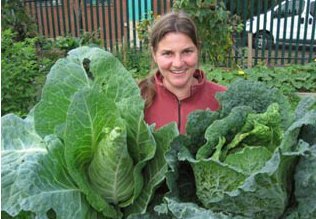 Get-Growing has developed from the success of the Cwm Harry Community Garden in Newtown and is part of the Cwm Harry family of innovative sustainability projects. 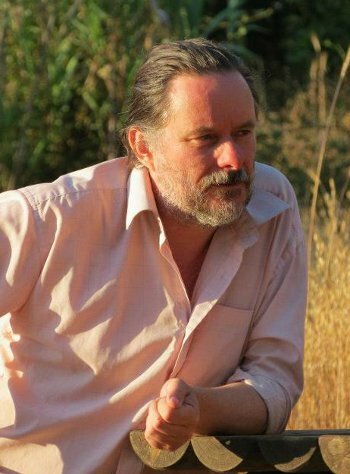 Steve is a permaculture design teacher and project manager with many years experience in sustainable development and various community environmental projects such at Centre for Alternative Technology. 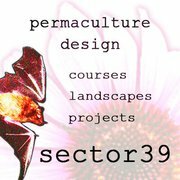 Permaculture Association and RISC Reading . 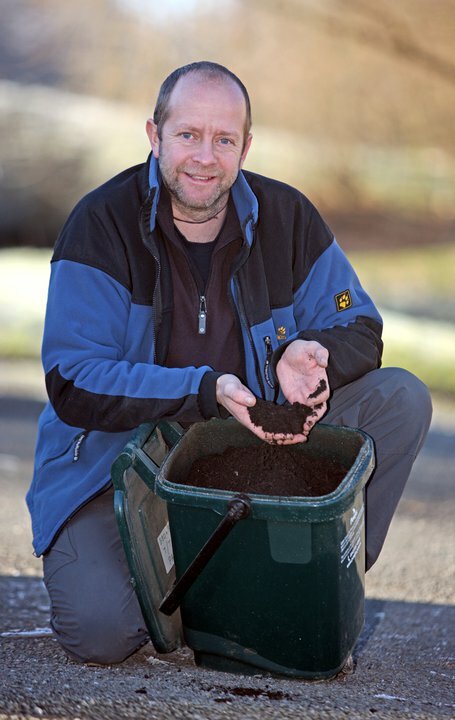 Steve is Get-Growing’s volunteer coordinator, permaculture tutor and community outreach officer. 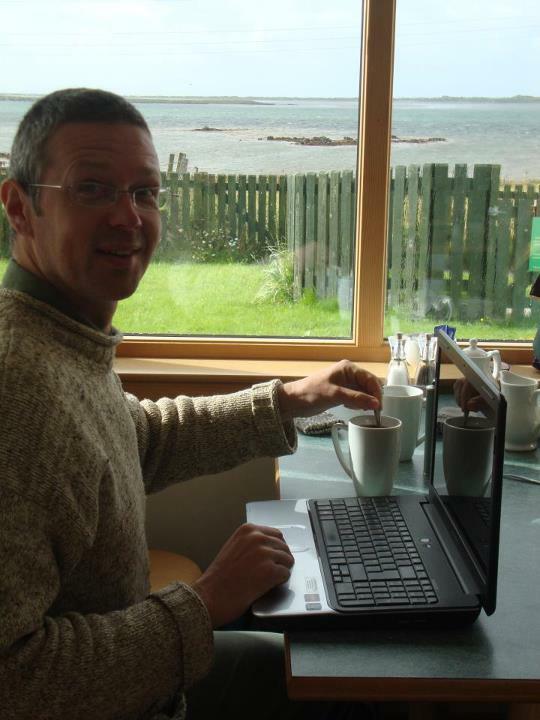 As well as gardening and teaching Steve will keeps our blogs, newsletters and website up to date. Richard is one of the founding members of the Cwm Harry Food Company, which supplies organic fresh veg to the Newtown area. He also has a one acre field where he grows a lot of veg for the box scheme. His main area of interest in the Get-Growing project is developing more food centred local enterprises in the region. Richard is a Newtown resident and is a Plaid Cymru candidate for Newtown Town council. Gary is the Get-Growing team leader and also works for the Federation of City Farms and Community Gardens as the Mid-Wales area coordinator. He is also one of the directors of the Cwm Harry Food Company as well as acting at the Get-Growing Team leader.